Reports from Korea suggest LG Display has secured an OLED supply deal to Xiaomi, for the company's next-gen flagship phone. 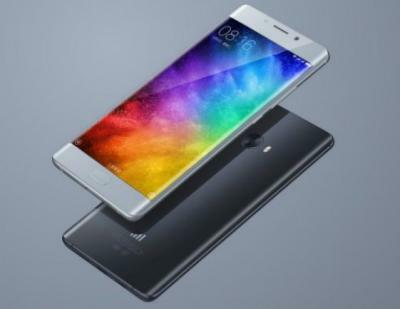 LGD will supply Xiaomi with curved flexible OLEDs, similar to the ones used in Xiamoi's Mi Note 2. According to the report, LGD already supplies flexible OLEDs for Xiaomi's Mi Note 2 - but with very limited volume. Once LG's E5 fab starts producing panels later this year the company's capacity will be increased dramatically and it will be able to support volume production to Xiaomi - and also to other handset makers in China. We recently reported that Apple is in talks with LGD regarding flexible OLED supply for the 2018 iPhone, and other reports say that Google is also discussing a possible supply agreement with LGD. LG Display currently produces flexible plastic-based AMOLEDs in its 4.5-Gen line that has a capacity of 14,000 monthly substrates. This fab currently makes small OLEDs for wearable applications - and in fact LGD is the exclusive supplier for the OLEDs used in Apple's Watch. LG first new OLED line will be the $900 million E5 line in Gumi that should start producing panels by June 2017. The 6-Gen new line will have a monthly capacity of 7,500 monthly substrates. LG is also working on a third flexible OLED fab, the E6 line, which will also be a 6-Gen fab with double the capacity of the E5 line (15,000 substrates). The E6 is scheduled for the end of 2018. LGD's ambitious P10 OLED fab will also include some flexible OLED capacity - although plans for this fab hasn't been finalized yet, and it will mostly be used to make large area OLED TV panels.